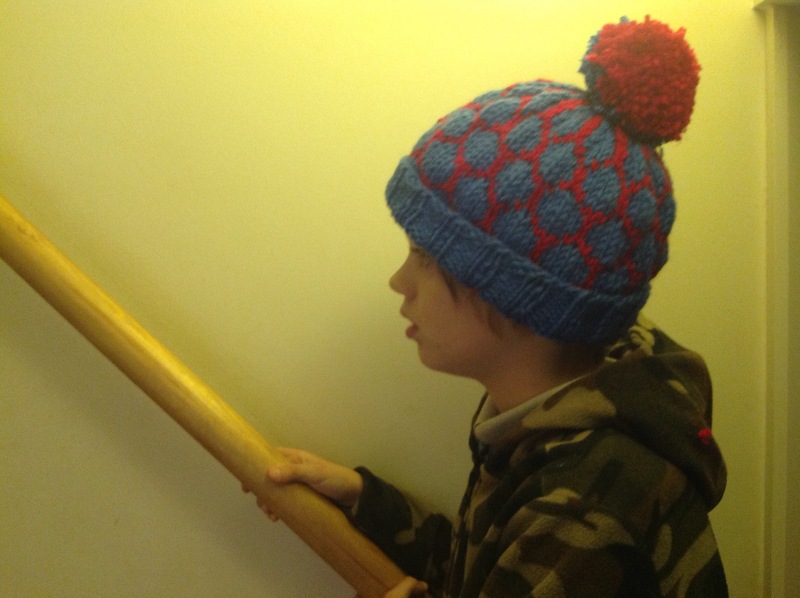 It also had to be soft – not itchy on the scalp – roomy and adult size so he can nicely grow into it, folded at the edge, not too warm and very important: with a big pompom on top…. Please excuse the poor lightning conditions, but I just took these pictures and it’s 8:30pm here. 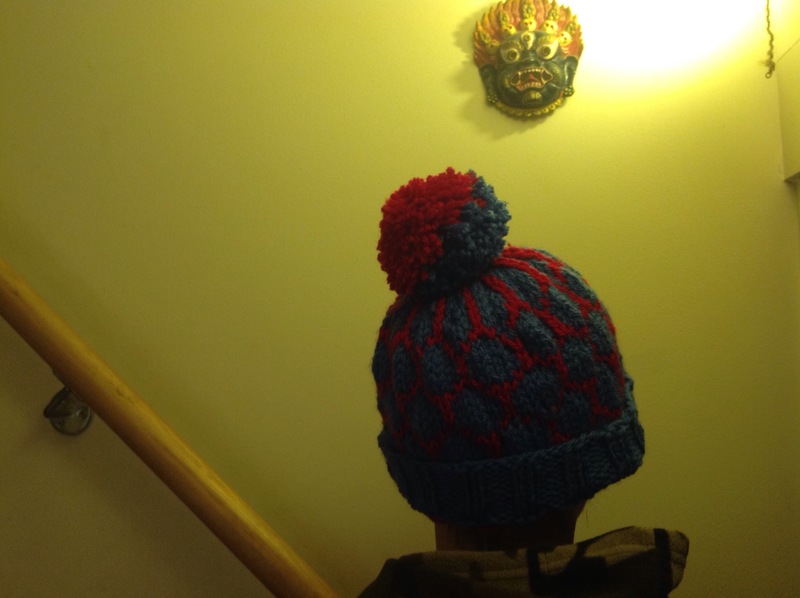 We bought the yarn at the end of yesterday afternoon, while we were in town to meet Santa and the Grinch – like we do every year – and I just finished it. 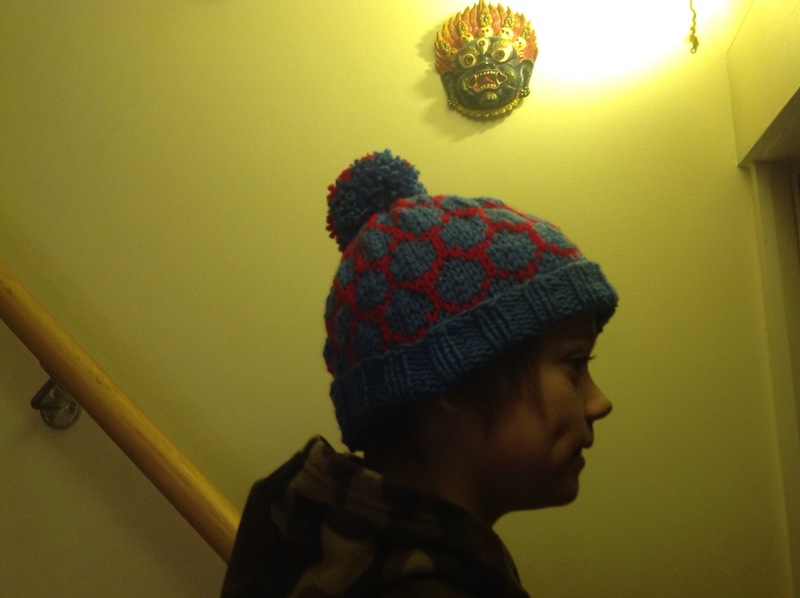 Boy is very pleased and assure me that he will wear it a lot – ahem… not like other hats I have knitted for him previously…. 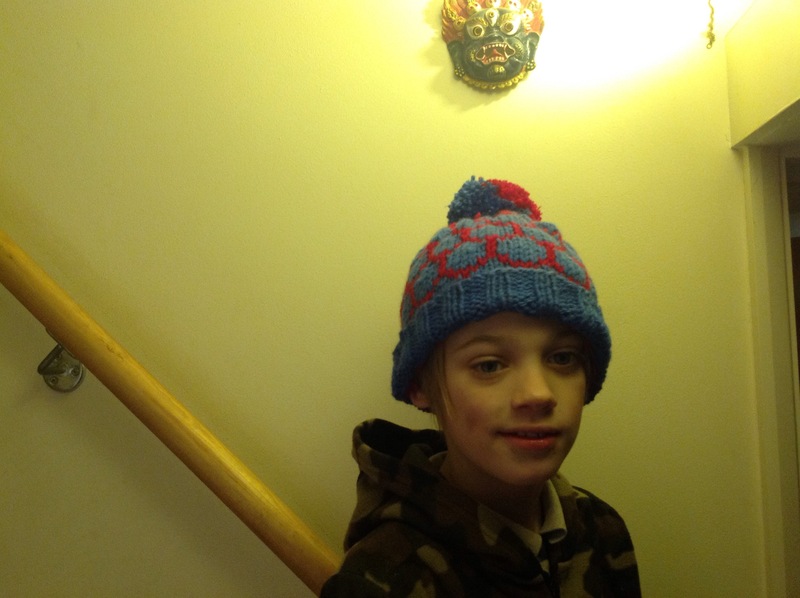 I think this hat suits him so well, but somehow he doesn’t want to wear it for very long… He find it itchy, and perhaps a bit too over the top (really?). 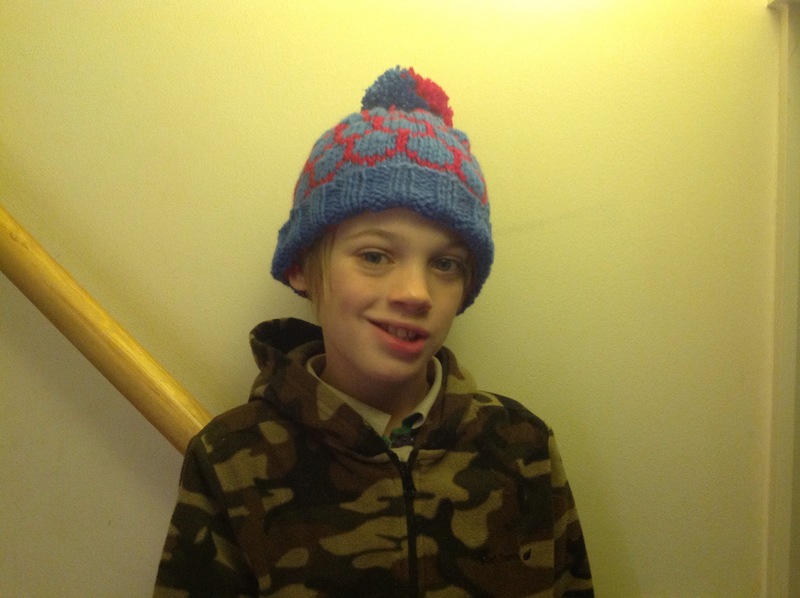 Well at least it kept him warm on Friday night…. Oh, I’m sure he’ll wear this one a lot! I love that fish scale pattern! Hahaha! He has a point… Although for chilly days out in the countryside, I often find I like to have both! Hope you’re all keeping nice and toasty on these frosty days!